If you select a dropdown, you can specify the dropdown contents, but putting each selection in its own line. You can sort fields by dragging the 4 dots on the left side. You can change the field type, and the drop down options. You can delete fields as well. Deleted fields can also be restored at any time. 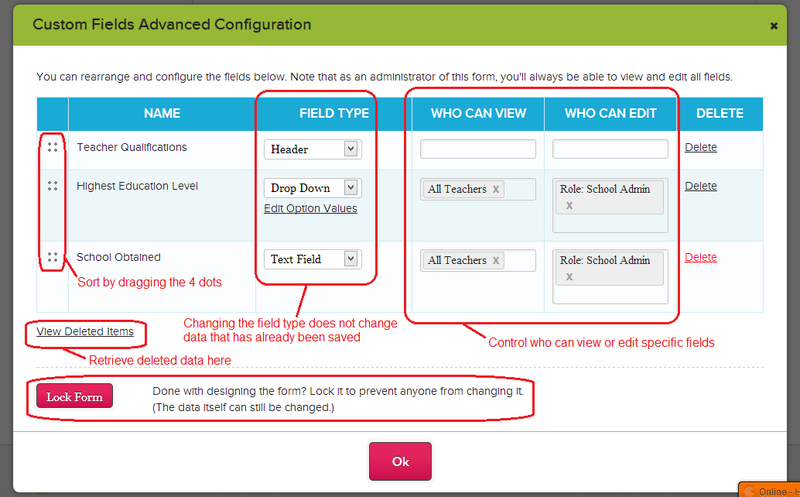 Finally, you can remove the edit capability for field names by locking the form. You can of course unlock it later, if future changes are required. And that’s it. Let us know what you think about this new feature, and if there’s a particular area where you’d like to see this new addition. We thank you for your feedback and support. 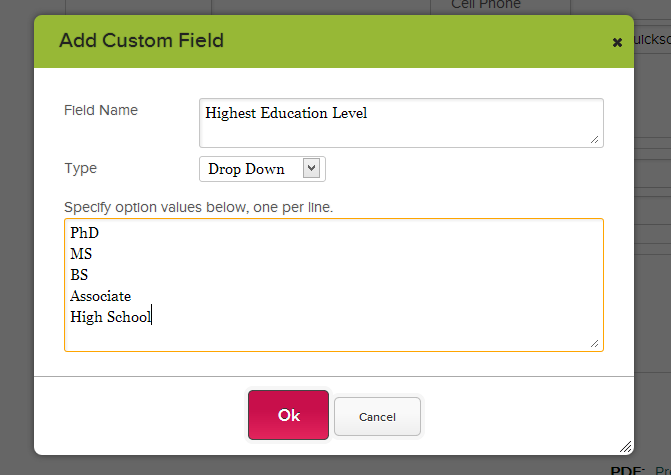 The new Custom Fields are now available in Admissions Inquiries. Enjoy! Custom Fields now support date fields. Cool!